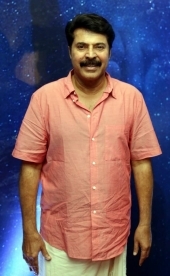 Mammootty,the megastar of malayalam cinema was born on 7th Sep 1951, who apart from malayalam has acted in Tamil, Hindi, Telugu, and Kannada movies too. Mammootty is from Chempu, Kottayam and Mammooty is the eldest. Mammootty did his schooling at Vaikom and then continued at Maharajas College, Eranakulam. Mammootty is advocate in his real life profession. Mammootty is married to Sulfath and blessed with two kids Surumi and Dulquar Salman. Surumi is married and settled in Dubai while Dulqar has followed his father and has become an actor after his studies.